Lightweight and lacy is the name of the game for the warmer months ahead...and apparently purple is THE color of the season! 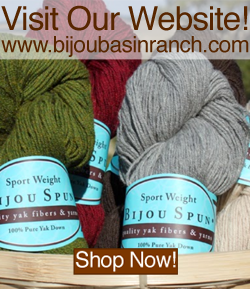 Today, we're sharing some of the newest designs using Bijou Basin Ranch yarns that are perfect for summertime stitching. We probably couldn't have planned this if we'd tried, but the latest round of new patterns just happen to have a certain royal hue in common. Purple lovers, this one's for you! 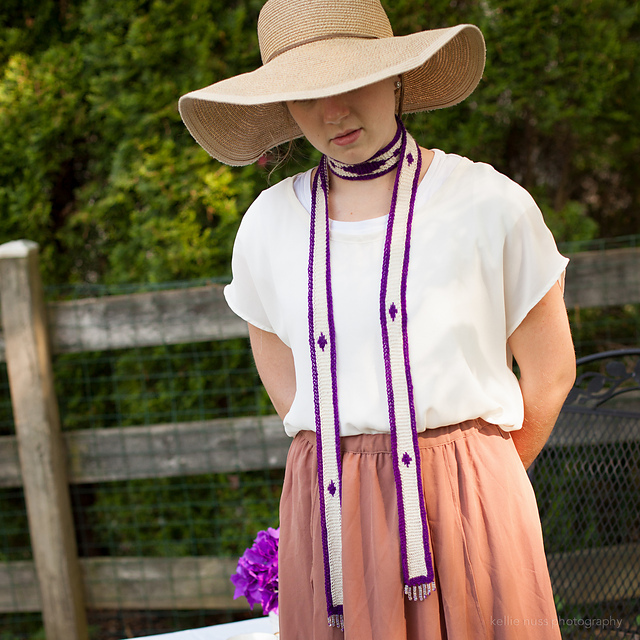 Fans of Downton Abbey will enjoy this delicate scarf designed by Kellie Nuss in our 50/50 yak and silk blend Shangri-La yarn. However, this project is more than meets the eye: Something Lady Mary Might Wear is described by the designer as an exploration in knitted jewelry - without the use of beads! It's also a skill-building project which introduces basic intarsia skills as part of the Next Level Knit-along at Eduknit.com. 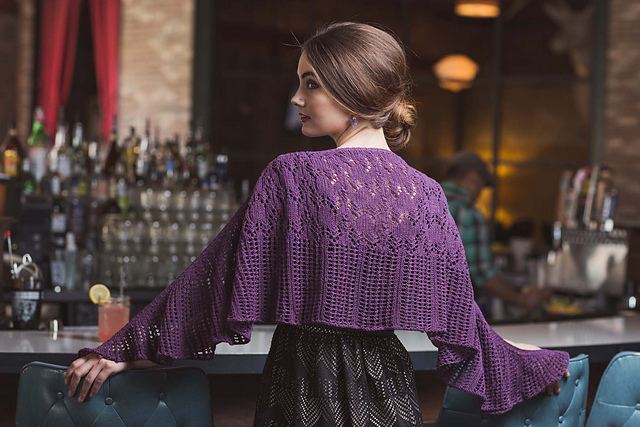 If knitting with beads does happen to be your thing, then the Catalina Cape by Anniken Allis is right up your alley! This lacy crescent-shaped shawl incorporates beads to create an absolutely stunning design. It's knit with Seraphim, our angora blend yarn; pattern appears in the Beaded Lace Knitting book, which was published earlier this spring. 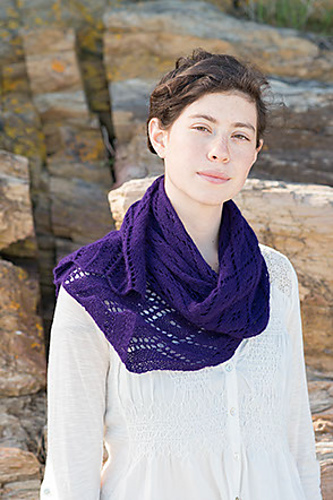 True lovers of lace won't want to miss Marly Bird's Blue Diamond Lace Scarf, which is also knit with our Seraphim yarn. This long rectangular scarf is knit in two halves, then grafted together in the center to create a beautifully symmetrical lace piece. 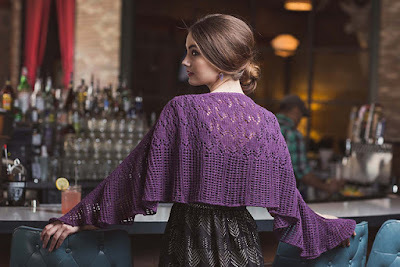 The pattern appears in the Lace Yarn Studio book by Carol Sulcoski, which was published earlier this spring. Shawl lovers will want to snag the latest issue of Knitscene Accessories, which has over 10 different knit worthy shawls, including the Wallis Shawl by Ágnes Kutas-Keresztes! This top-down lace shawl is the perfect choice for our 100% yak sport weight yarn, or mix things up a bit and knit a version in Lhasa Wilderness, our yak and bamboo blend! 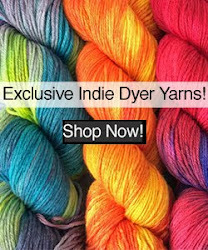 As an added bonus, we'll donate all net profits from your purchase of Lhasa Wilderness yarn towards Nepal earthquake relief efforts (just be sure to make your purchase from this page on our site). Our Nepal Earthquake Relief fundraiser is entering its final days! Click here to find out how you can help. We appreciate your support!